In today’s fast paced life, reminiscing the past can be a heartwarming and indulgent experience. It reminds us to pause, breathe and savour the simpler things in life. 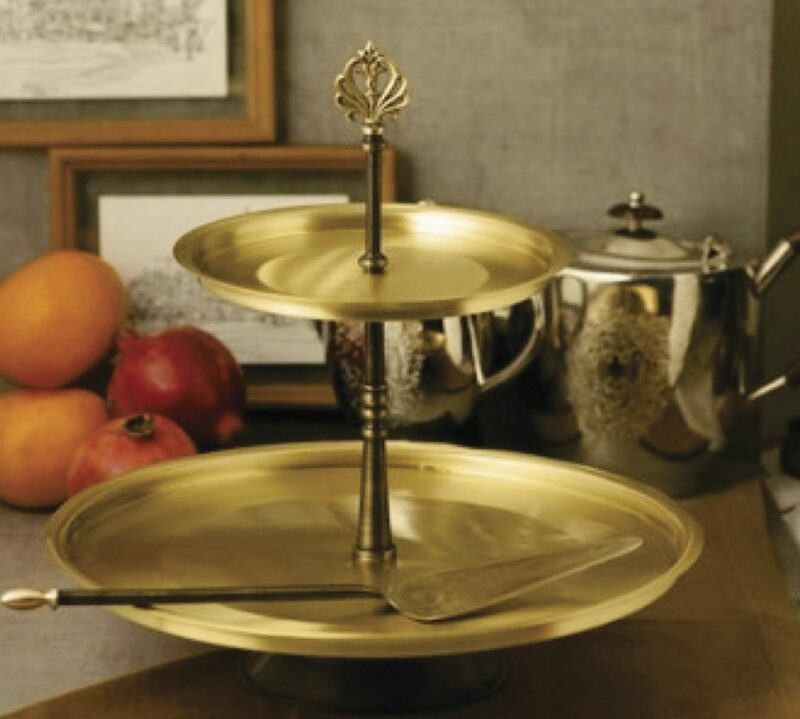 The joy of raiding kitchen shelves on a hot summer afternoon, waiting endlessly for tuesdays and the almost amber-coloured brass bowl of ‘besan ladoos’! 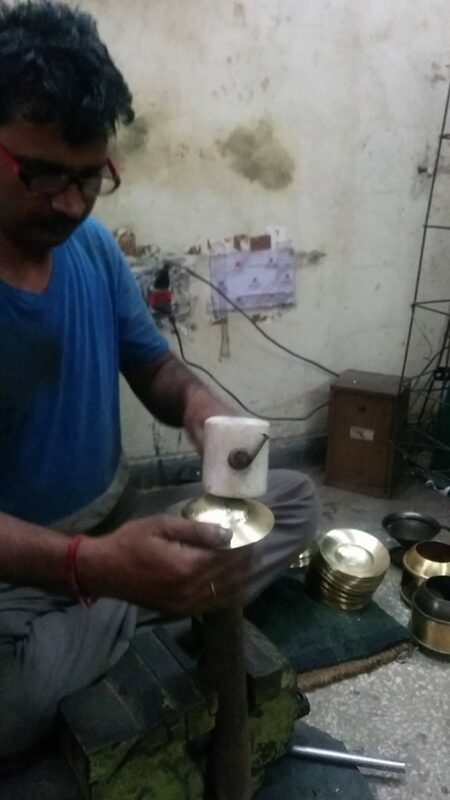 As I attempted to mirror those sentiments and the old world charm in my home, I turned to brass. 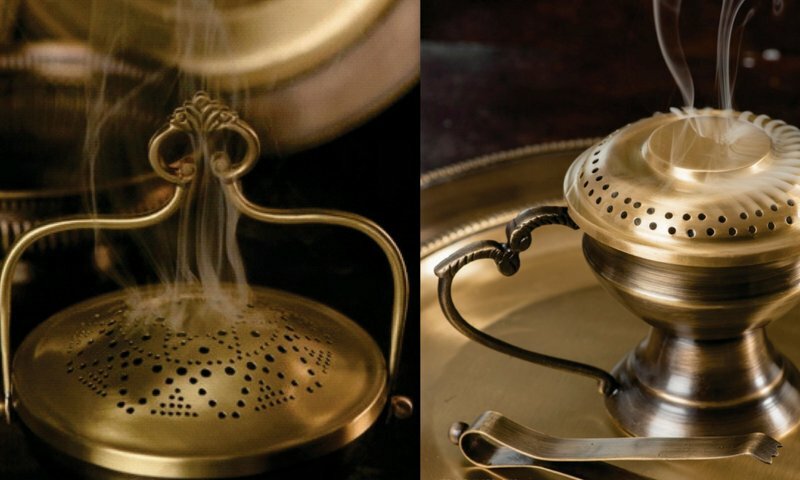 We love our metals and a while back we wrote about the ‘Return of the metals – brass, copper and bronze in the kitchen‘. 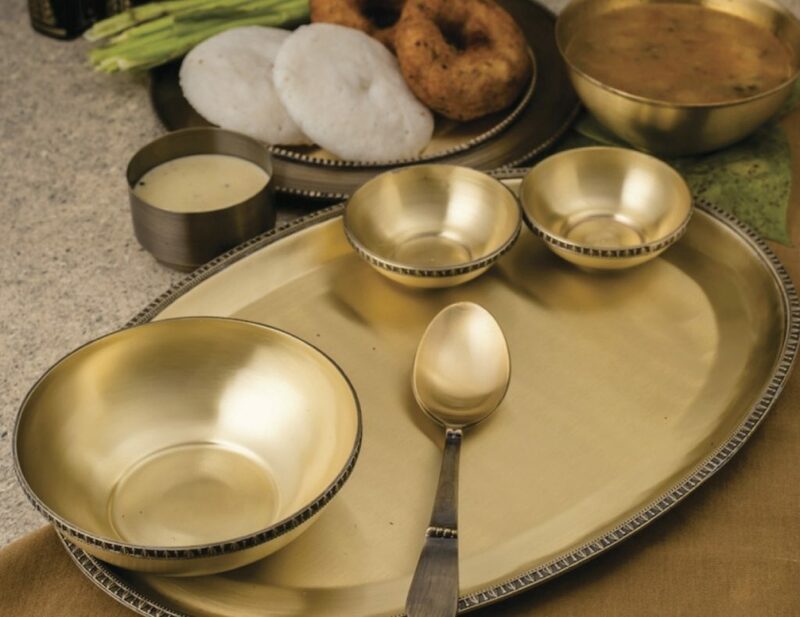 Today, let us explore ways in which we can help you bring the warmth of the old world charm into your home, simply with brass. 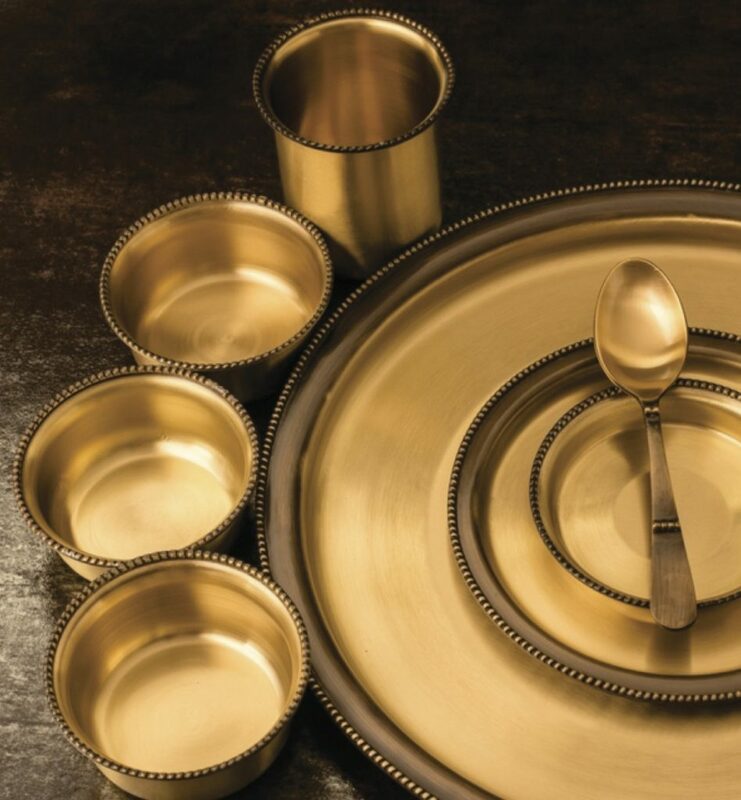 While I have used brass accents in my living room, I am a fairly new entrant into the serve-ware space. 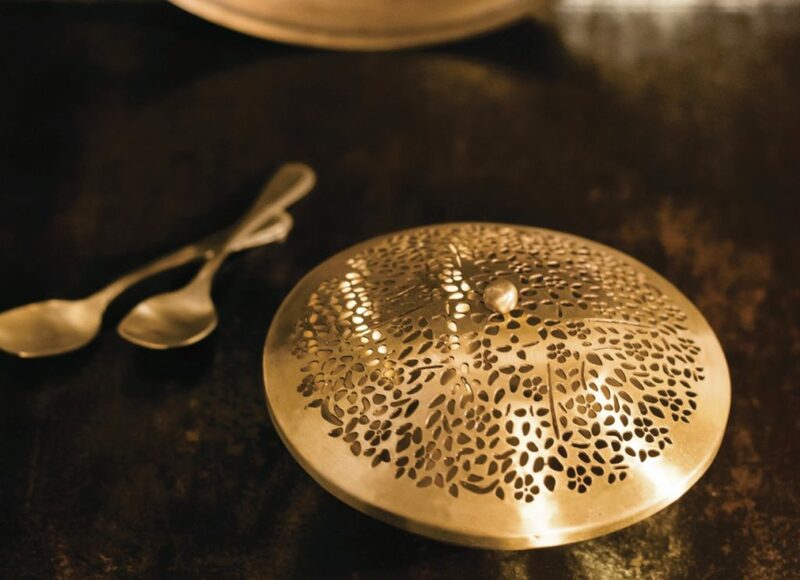 Something tugged at my heart when I chanced upon the range of brassware from Courtyard by Aline, and I decided to explore further and, so glad I did. 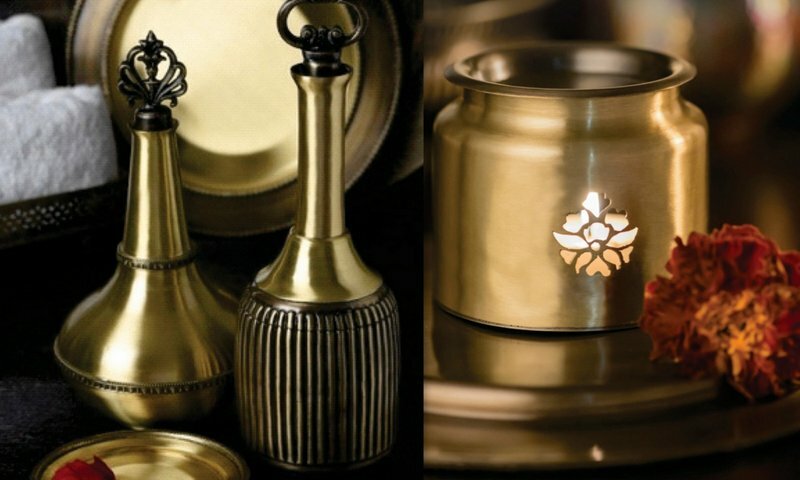 Courtyard by Aline, the brainchild of Kapil Mathur, a NIFT and NID alumnus who conceived this brand with a deep desire to bring the old world charm back in our homes, to re-connect with our roots by way of the glistening metal, brass. Speaking to him about his start-up story was thrilling and hugely inspiring. So, here I am, sharing it with the rest of my world. 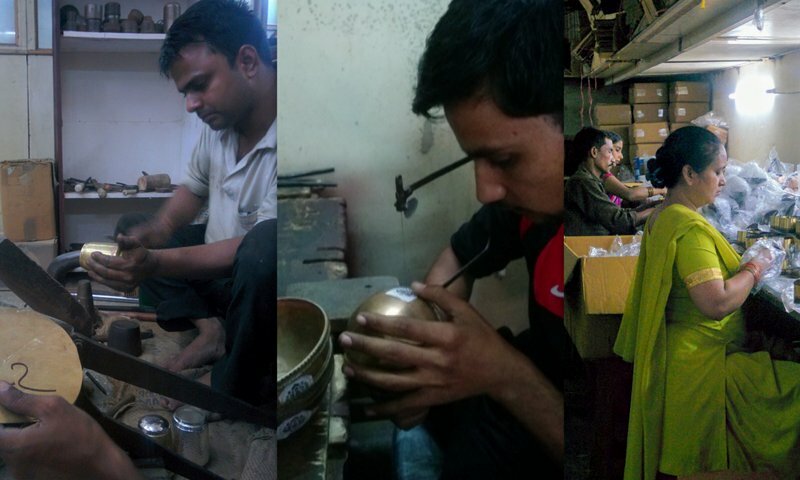 With sheer grit, determination and lots of hard work, Kapil set up his enterprise to provide employment, using skills of kaarigars that earlier weren’t being utilised, creating products, that have found homes amongst the shoppers of leading retail chains like Fab India, Westside and Lifestyle. Products under the brand Courtyard by Aline are available at leading independent and online stores such as Chamiers – Chennai, Purple Turtles, Cinnamon, Mother Earth – Bangalore, Ishatvam – Delhi, Jaypore and Houseofthings! Now, do have a sit down, browse the wonderful creations and get a piece or two for your home. 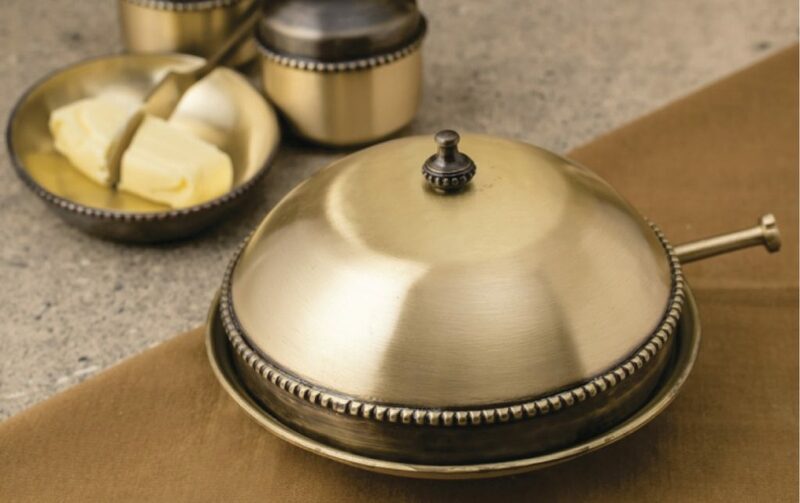 Which part of your home do you want to ‘brassify’ first? I would begin by getting a piece that you’re going to use or see often. 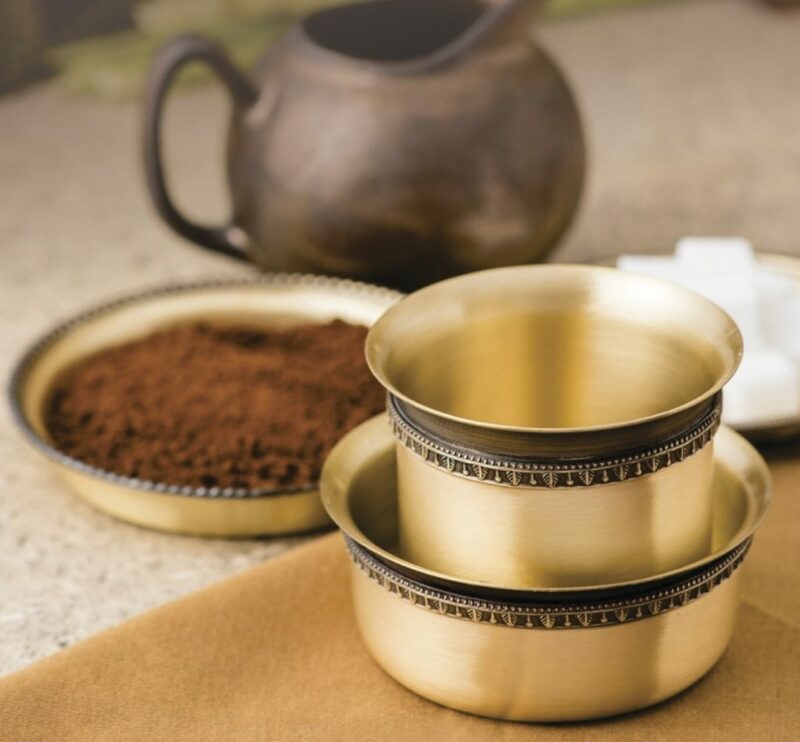 I love coffee in all its avatars, and if you have ever had the Kumbakonam degree coffee, you will be certain to pick the south indian filter coffee tumbler to go with it and, my next acquisition would be a gorgeousness in the name of brass dinnerware. Eating out of amber-coloured brass, takes me right back to summers at my grandparents’ home; a memory that never, ever fails to bring a smile to my face. Re-live the lost moments and revel in their memories and create some ‘brass moments’. Reconnect with your roots! Be notjustashopper!